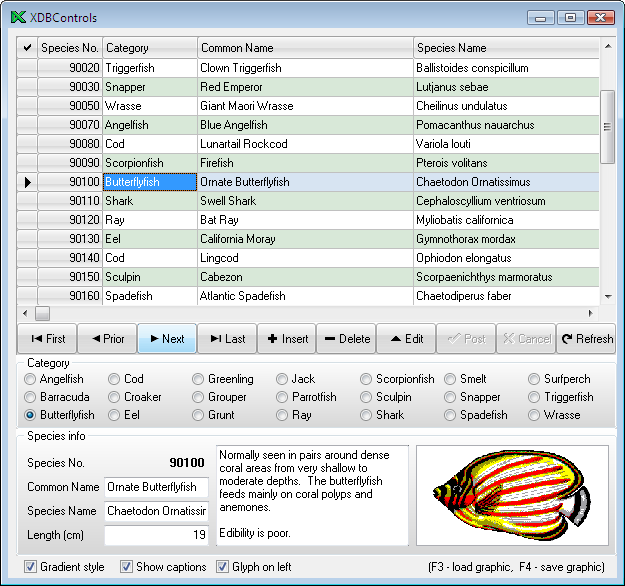 X-Files Components package contains a full set of advanced visual components designed for Delphi 5, 6, 7, 2005, 2006, 2007, 2009, 2010, XE, XE2, XE3, XE4, XE5, XE6, XE7, XE8, 10 Seattle, 10.1 Berlin, 10.2 Tokyo, 10.3 Rio and C++Builder 5, 6, 2006, 2007, 2009, 2010, XE, XE2, XE3, XE4, XE5, XE6, XE7, XE8, 10 Seattle, 10.1 Berlin, 10.2 Tokyo, 10.3 Rio. 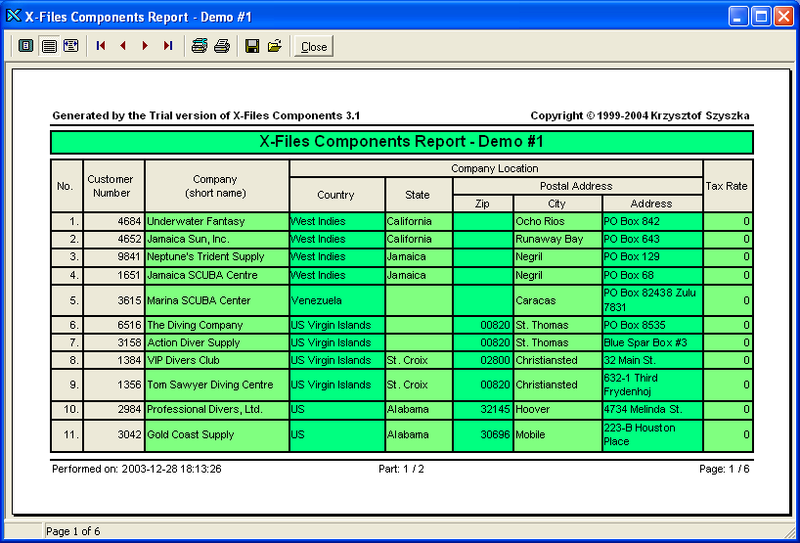 X-DBGrid Component package contains a set of fundamental components designed for database developers. 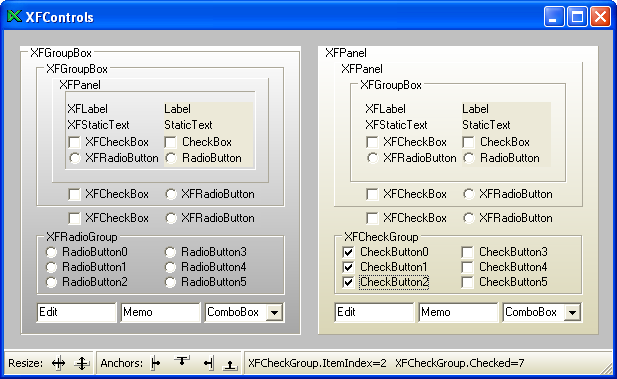 This package is a main part of X-Files Components package. 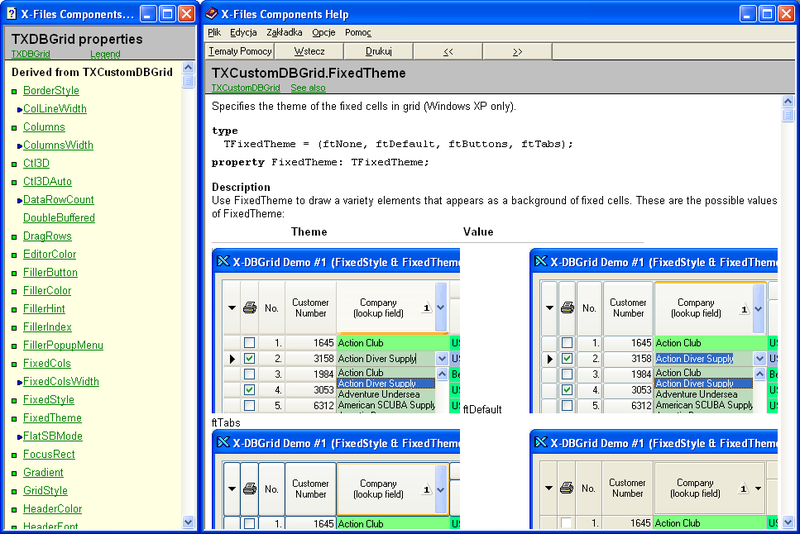 X-DBData Components package was designed to can directly use any indexed data structures with dbaware data components especially with our TXDBGrid component. 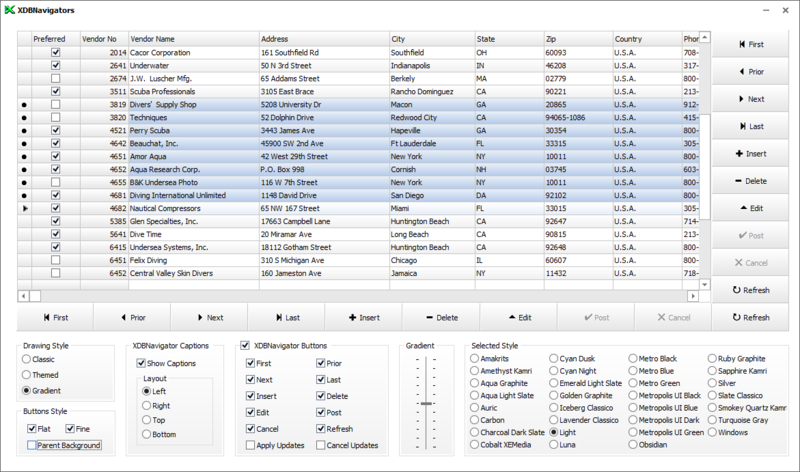 X-DBData Components package contains a set of specialized data sets and data providers to can use any classic and generic data structures like a database table. X-DBData Components is our separate product. 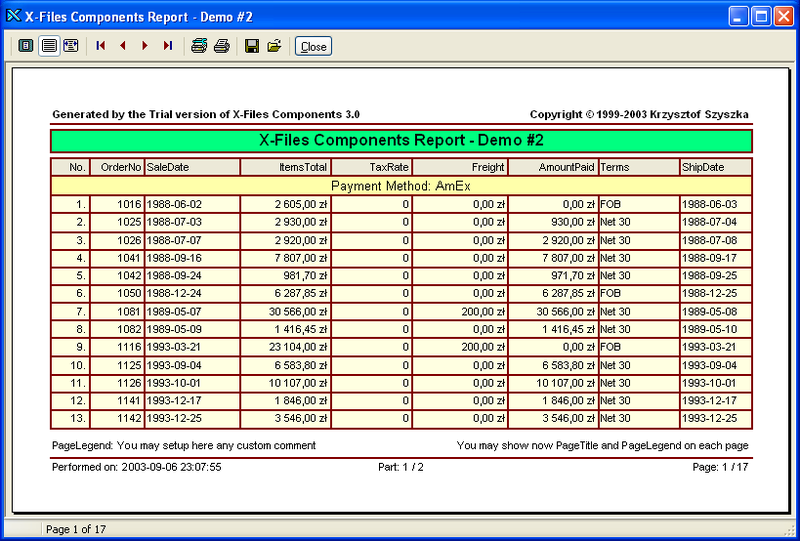 Using of this package do not required any other our package, but to compile included demo you must have X-DBGrid Component or X-Files Components package installed. 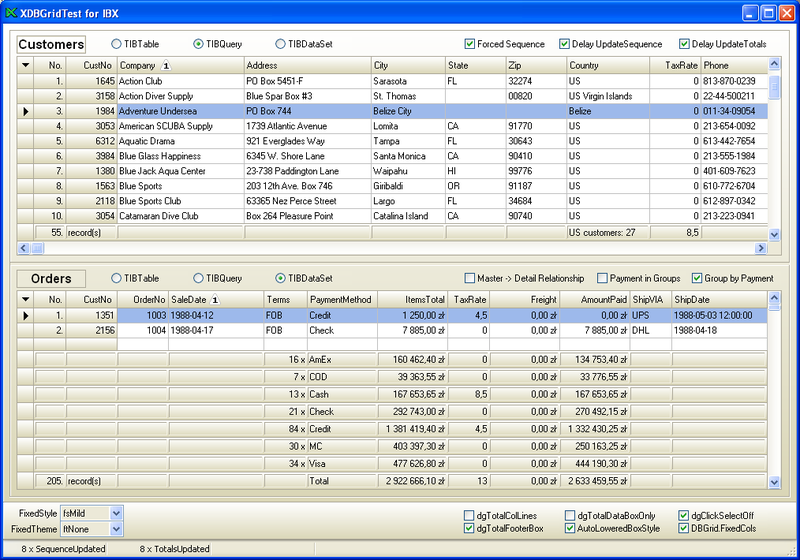 You may download and install a free Trial package. 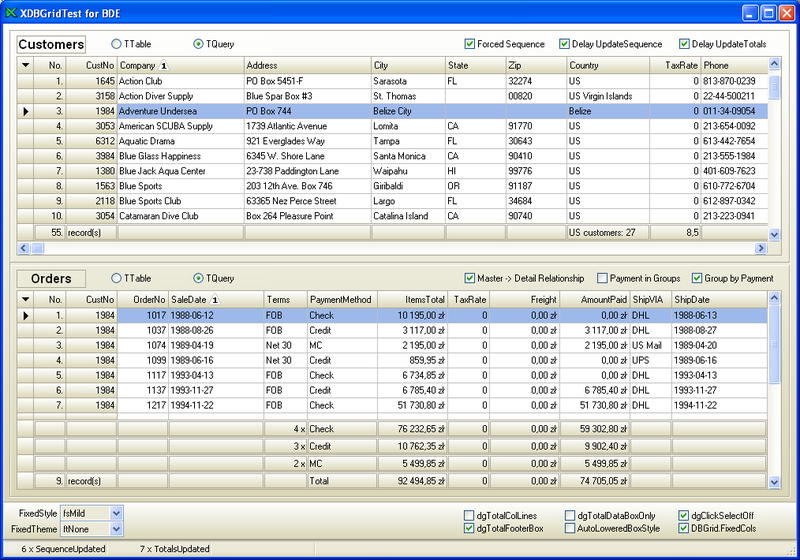 See detailed information about this package. 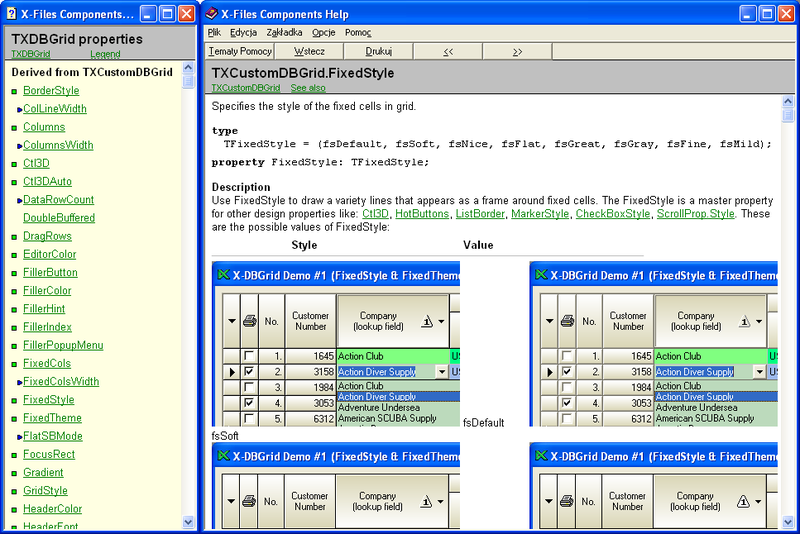 TXDBGrid offers in addition: auto-updated quick sequence number, auto-changed sorting order for all standard DataSet descendants (ADO, BDE, CDS, DBX, IBX, FireDAC) and many of third-party DAC components, auto-calculated totals values for whole DataSet and/or for SelectedRows, 4 kinds of integrated totals footers, extended lookup columns, universal search panel, integrated filtering system and auto-filter list for each column. 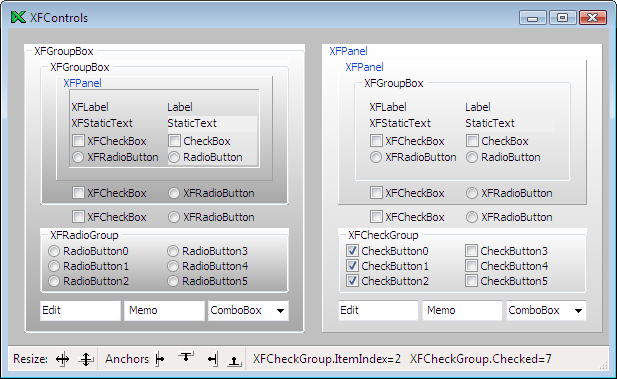 TXDBGrid is fully compatible with standard TDBGrid and can be used as a replacement without losing existing values. 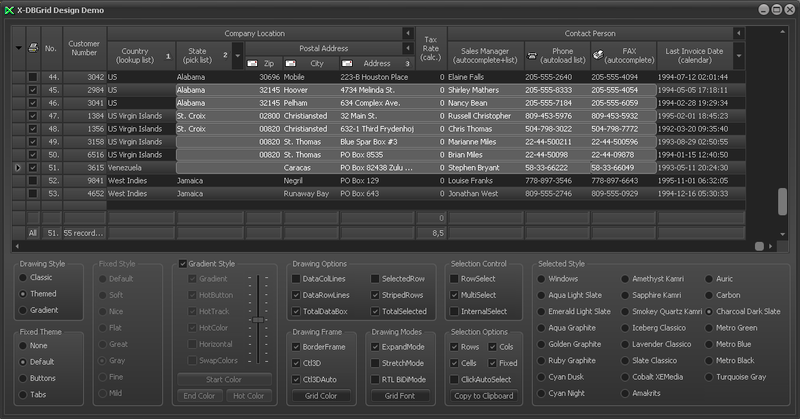 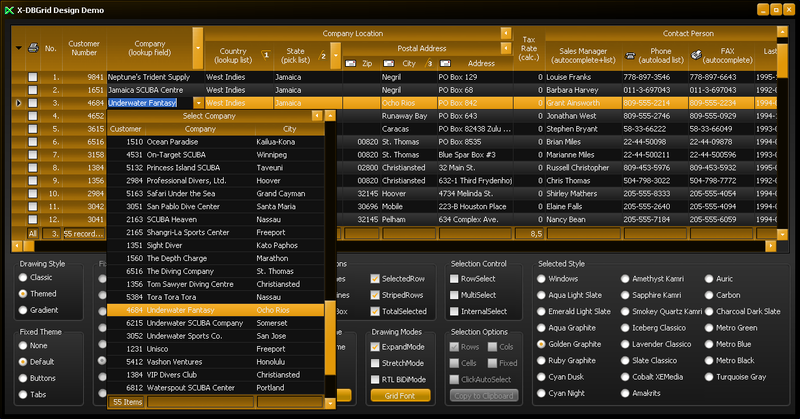 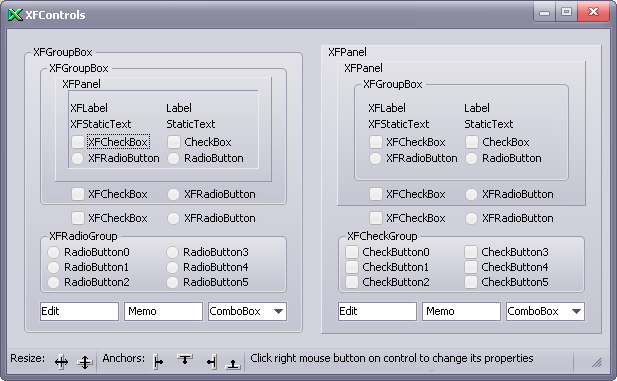 TXDBGrid has its own Column Editor and Designer, which can fully support all new column's properties. 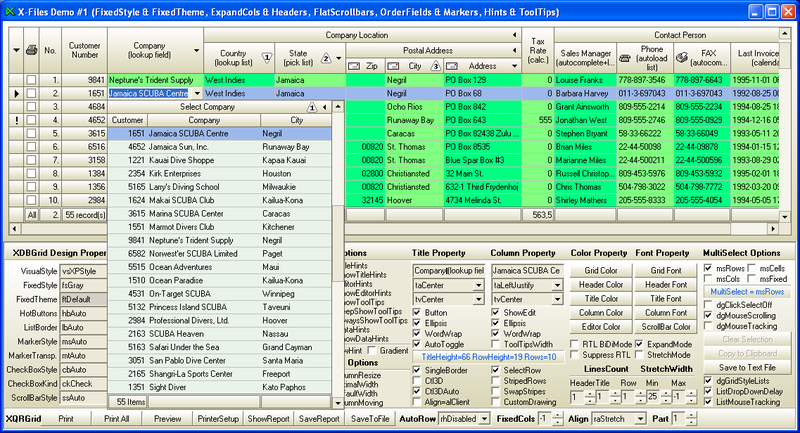 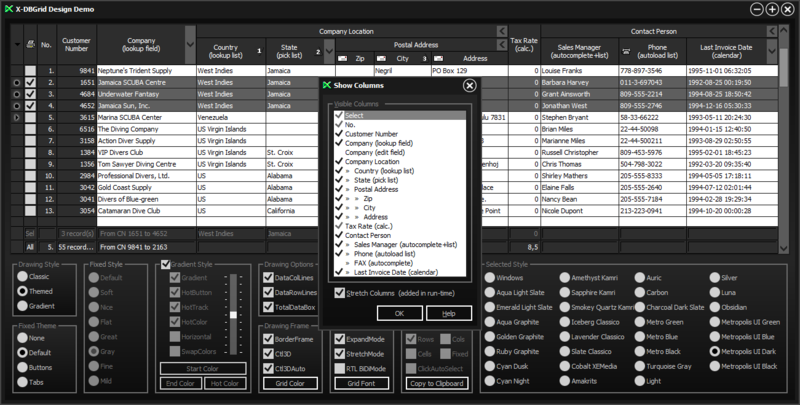 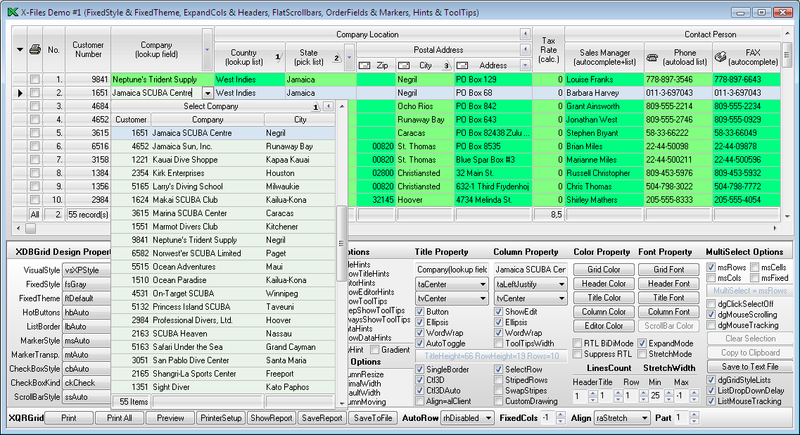 TXDBColumn represents a standalone column editor. 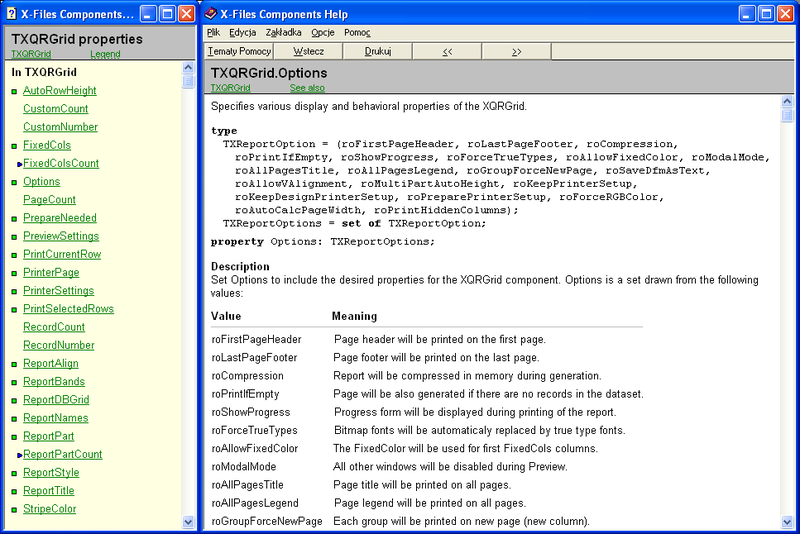 TXDBColumn performs the same functionality as inplace editor for the selected column in TXDBGrid component. 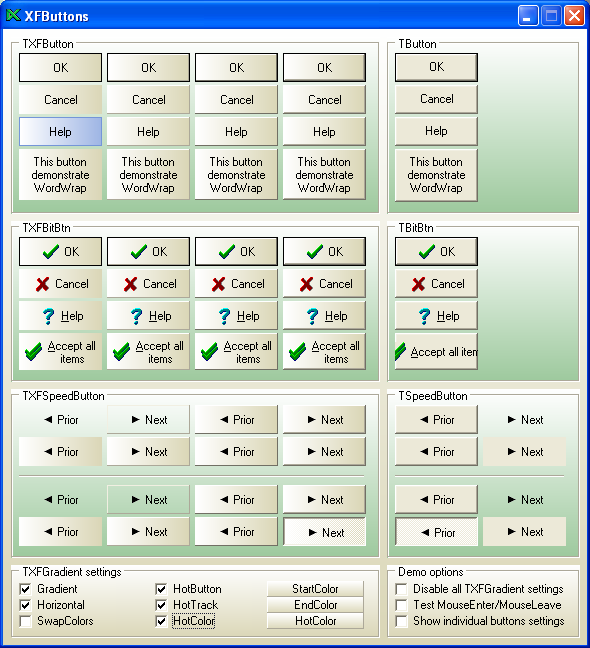 TXDBColumn directly uses all column's properties set in TXDBGrid. 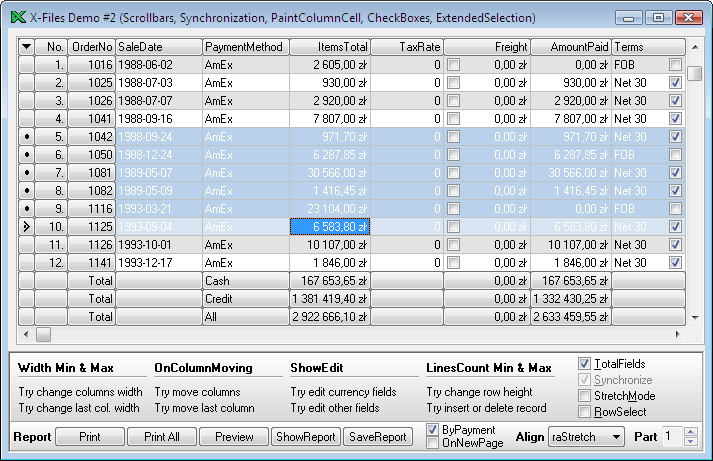 The result of data editing in TXDBColumn is returned to the TXDBGrid. 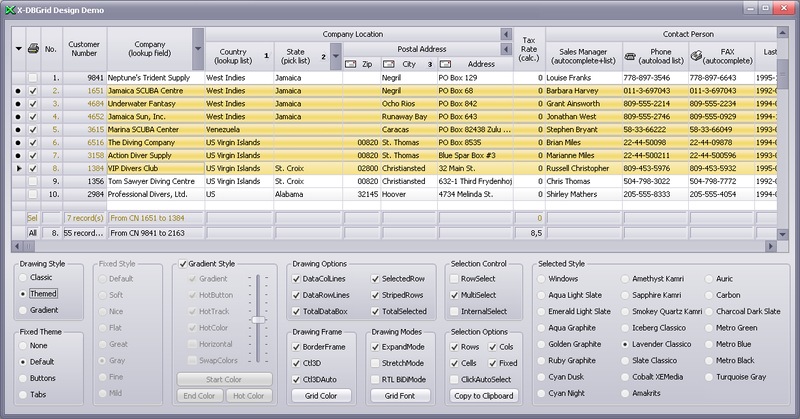 TXDBEditor represents a standalone field editor. 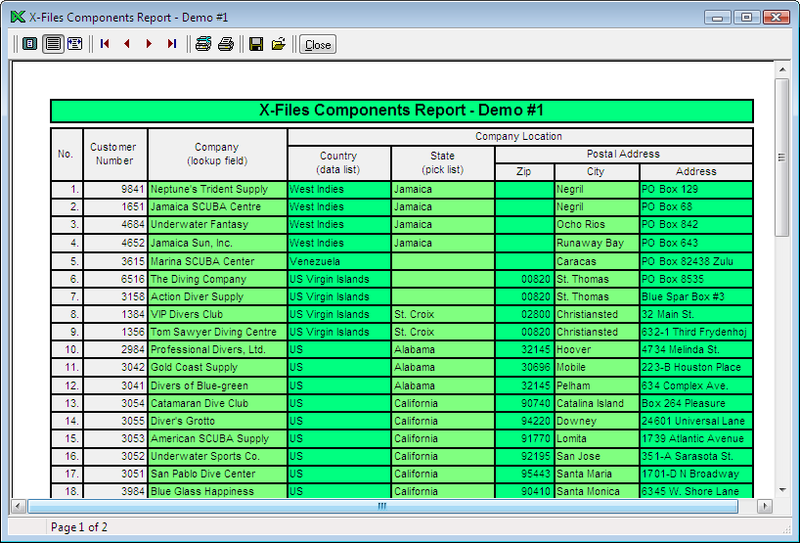 TXDBEditor performs the same functionality for a field in DataSet as inplace editor in TXDBGrid component. 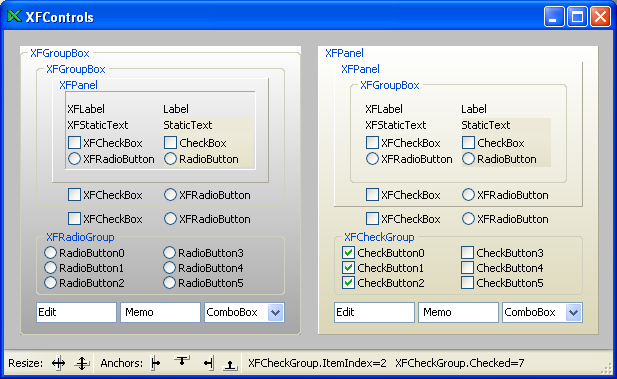 TXDBEditor allows to set properties similar to the column properties in TXDBGrid. 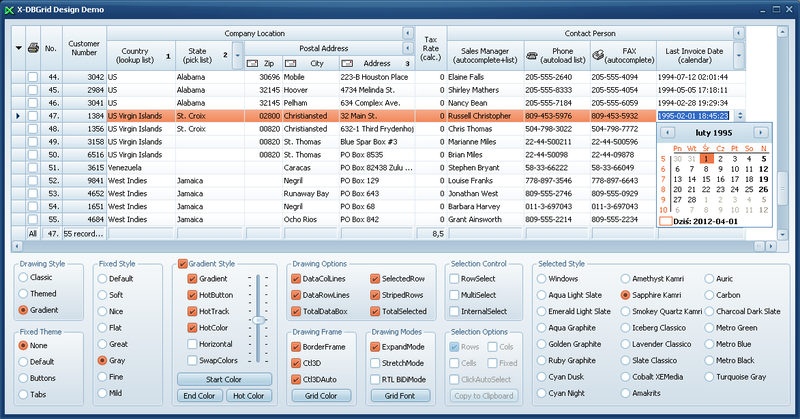 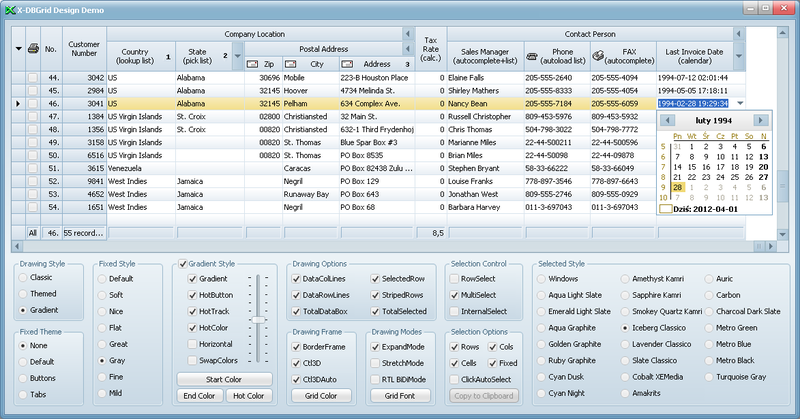 The result of data editing in TXDBEditor is stored directly to the DataSet. 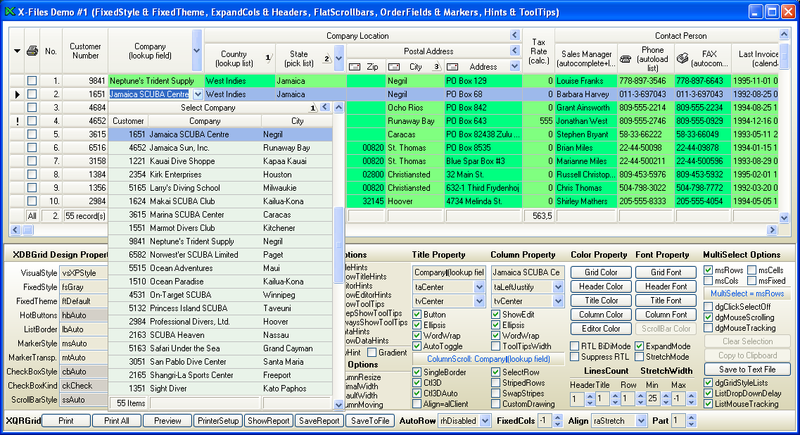 When DataSource property is not assigned TXDBEditor can work as non db-aware editor. 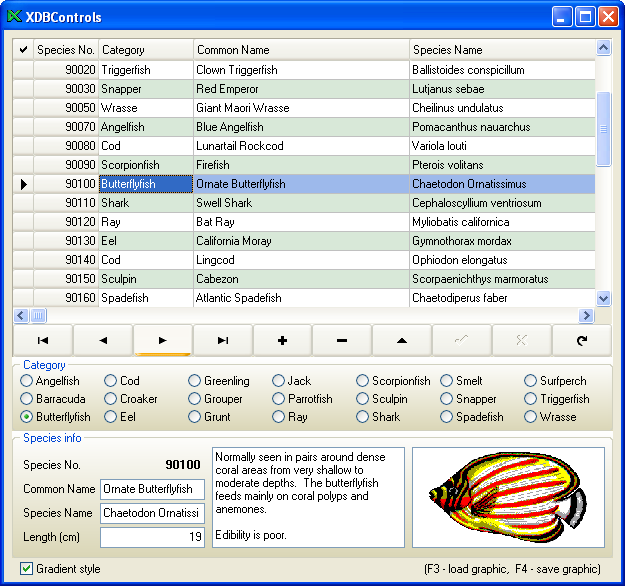 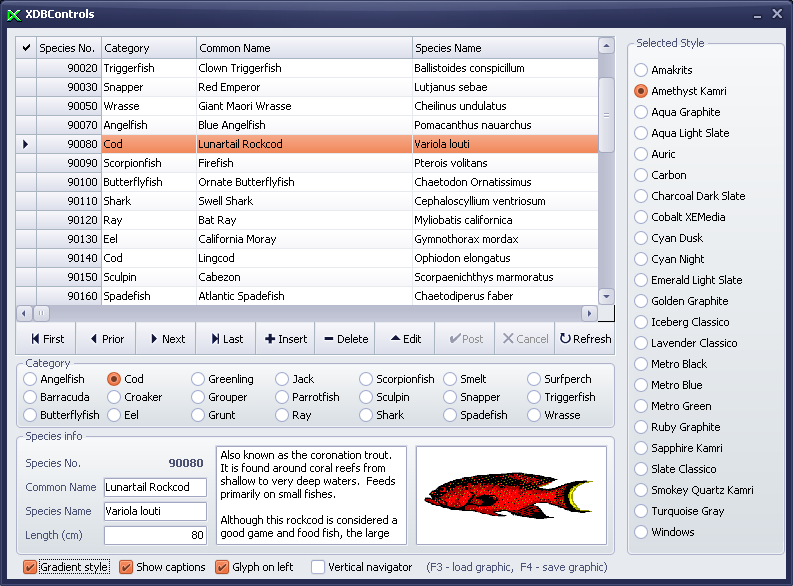 TXDBNavigator represents a gradient database navigator. TXDBNavigator is a functional extension of standard TDBNavigator. 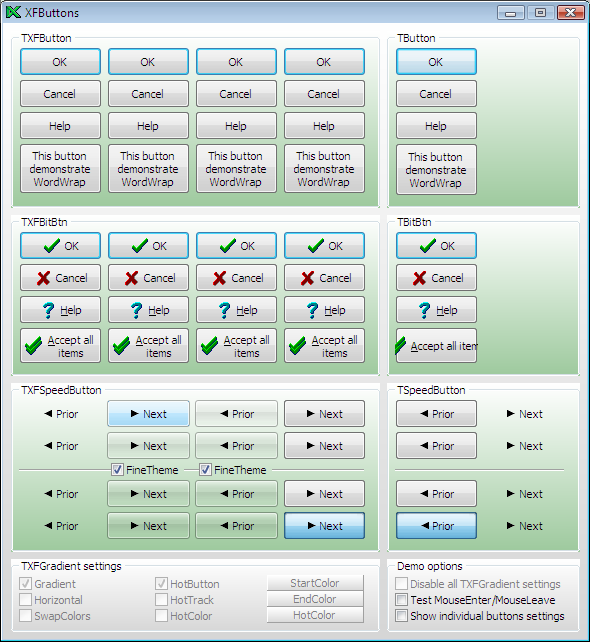 TXDBNavigator introduces several new properties to control border of buttons, gradient drawing style and parent's background. 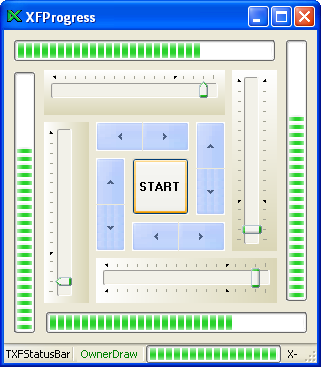 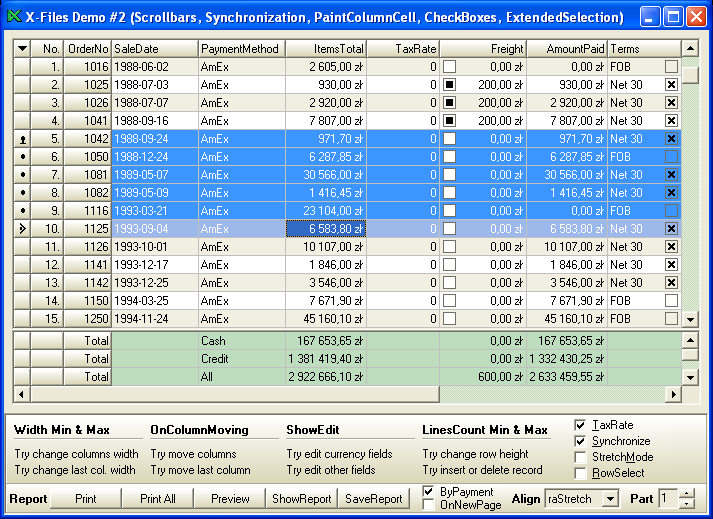 TXDBColumnsDialog is a complementary component for TXDBGrid designed for grid columns management in run-time. 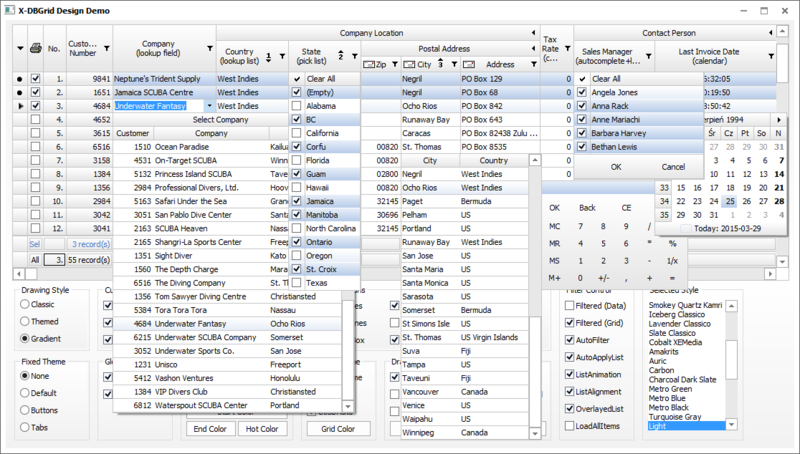 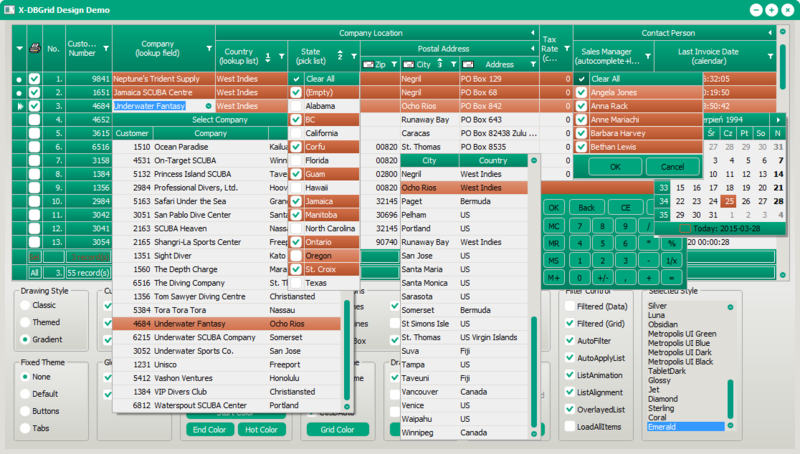 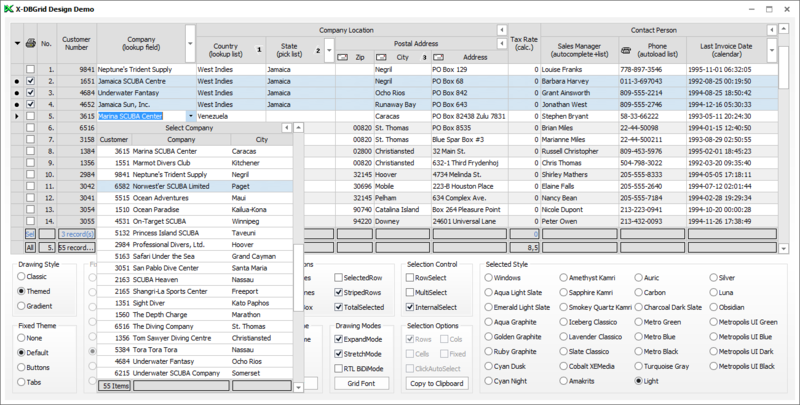 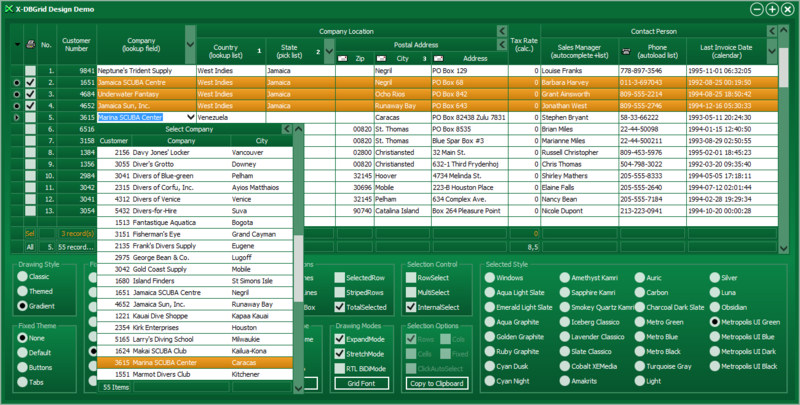 User can show/hide selected columns in the grid by using convenient dialog which presents columns list with checkboxes. 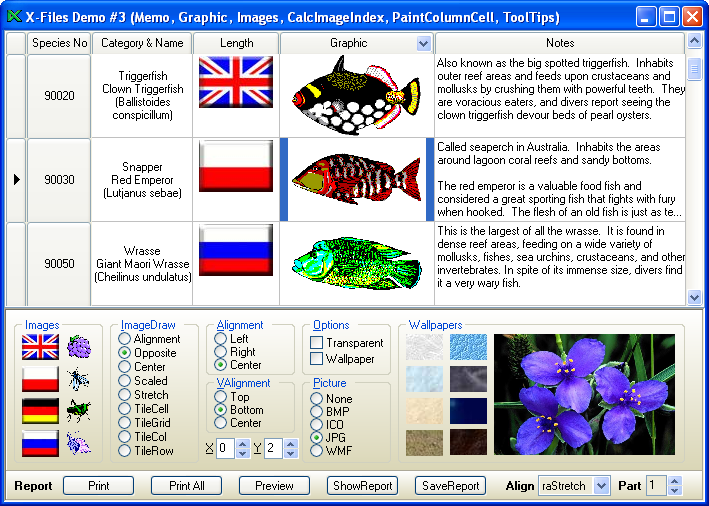 TXBlobField & TXGraphicField classes extend functionality of TBlobField & TGraphicField to achieve assignment compatibility between graphic BLOB field and TPicture class for another graphic formats. 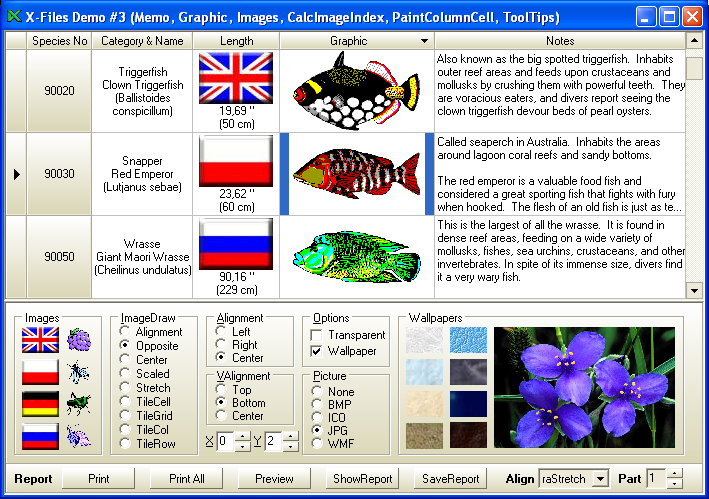 It allows directly using TImage, TDBImage, TQRImage, TQRDBImage with any graphic format stored in graphic BLOB fields (*.bmp, *.ico, *.gif, *.png, *.jpg and others supported by FieldGraphicClass). 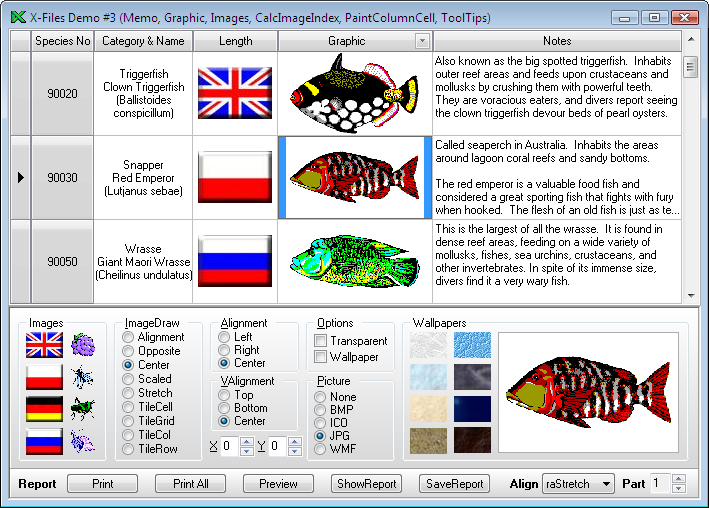 TXFGradient class is a fundamental class of gradient drawing style. 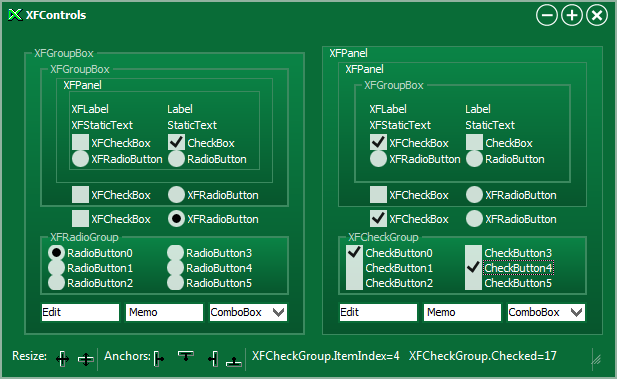 It holds all properties and methods needed to realize gradient drawing for all controls. 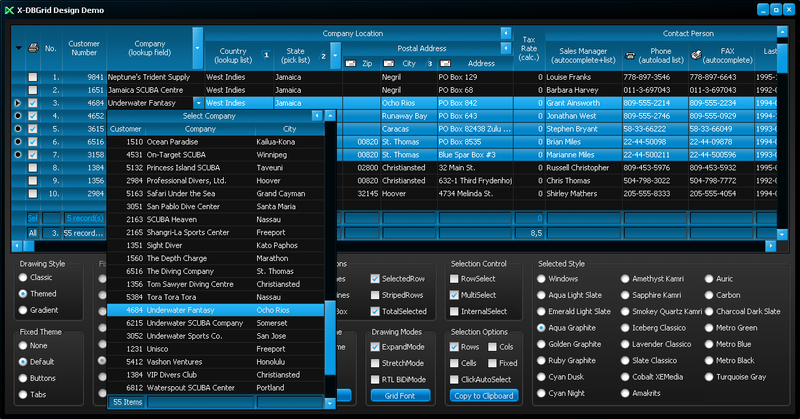 TXFGradient introduced a set of properties & options to select many variants of gradient drawing style. 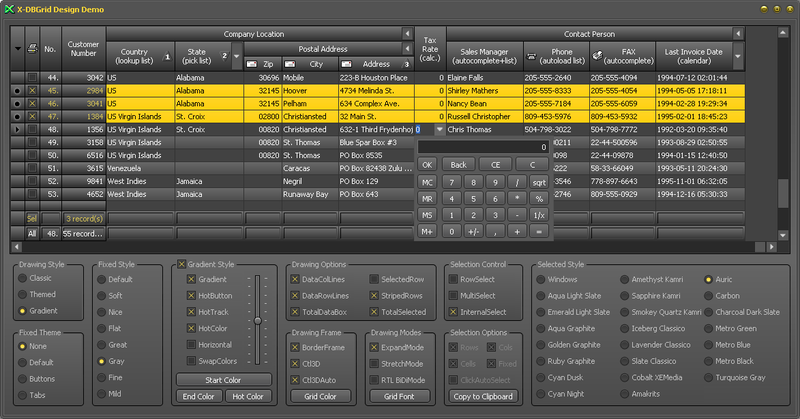 The properties, methods & events from this class allow to self-implement gradient drawing style in other controls. 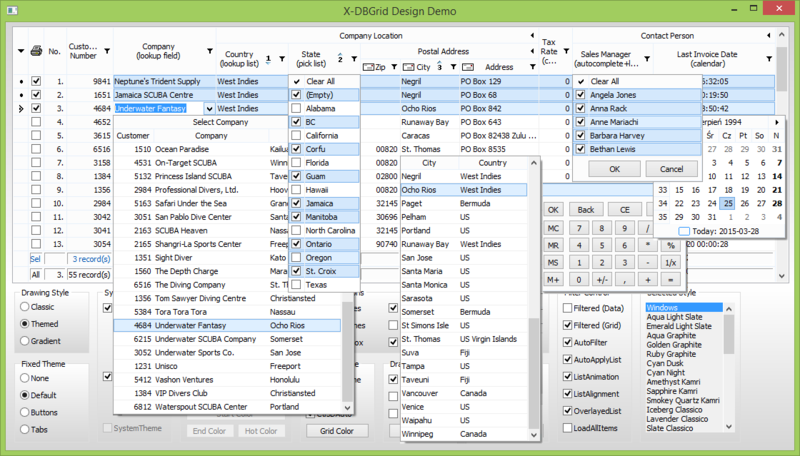 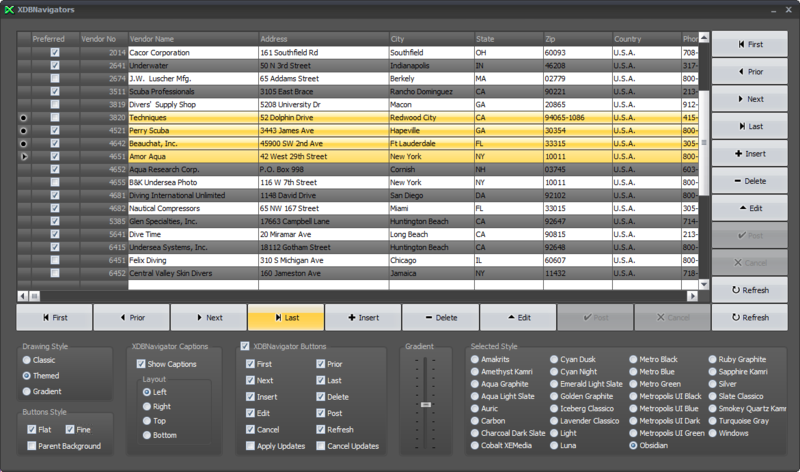 TXQRGrid is a complementary component for TXDBGrid designed for dynamic report creation on the basis of TXDBGrid current settings. 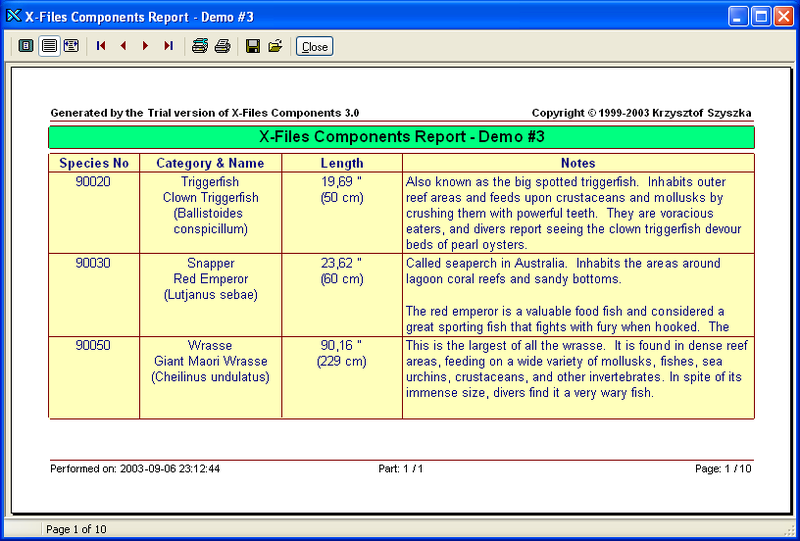 TXQRGrid component can print and preview the content of TXDBGrid component. 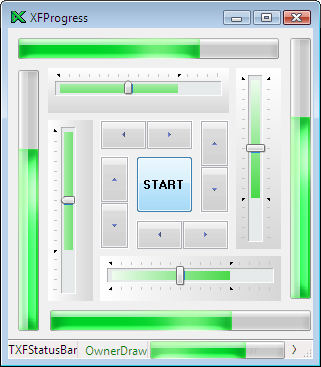 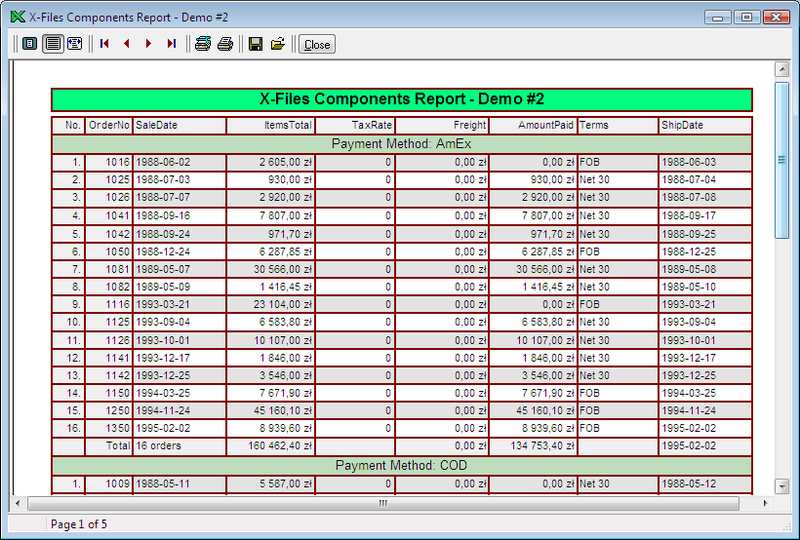 TXQRGrid creates in run-time complete report in QuickReport format. 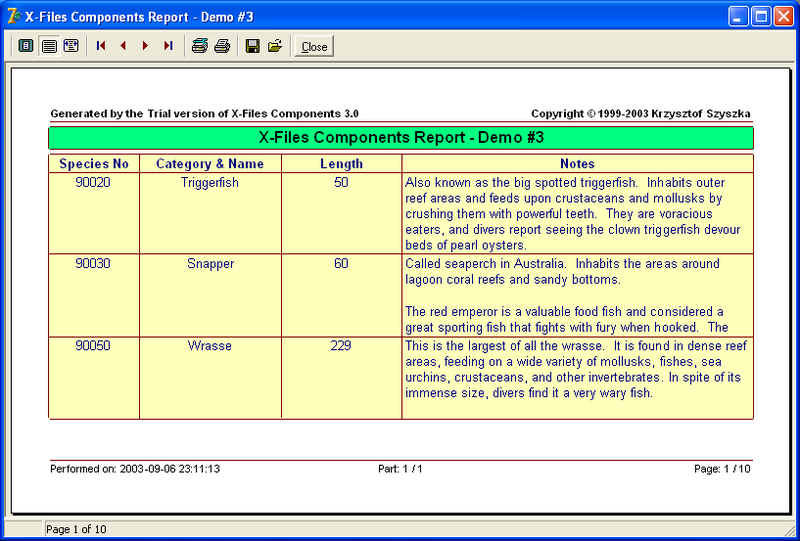 The report can be automatically stretched or created as few parts (vertical bands) depend on selected paper size settings. 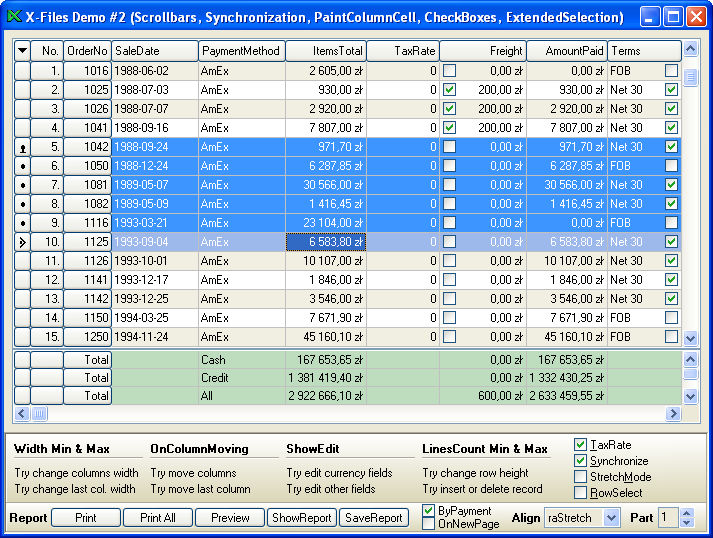 TXDBPrintColumnsDialog is a complementary component for TXDBGrid & TXQRGrid designed for selection printed columns in run-time. 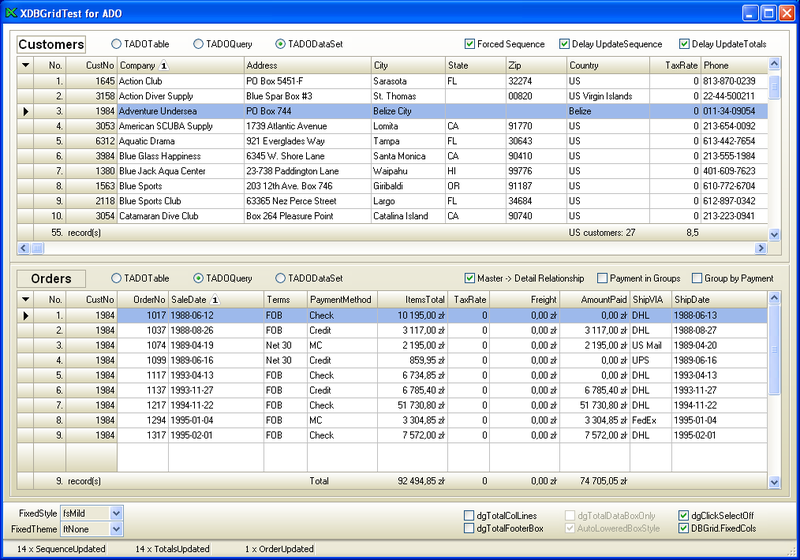 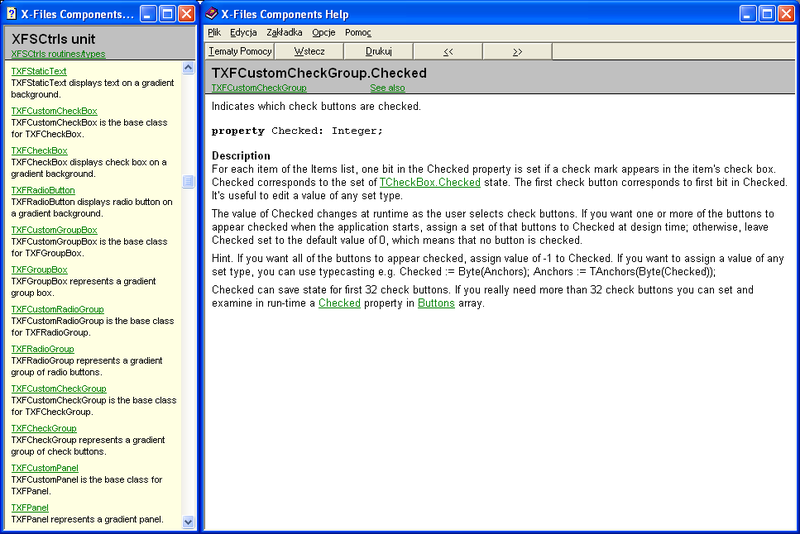 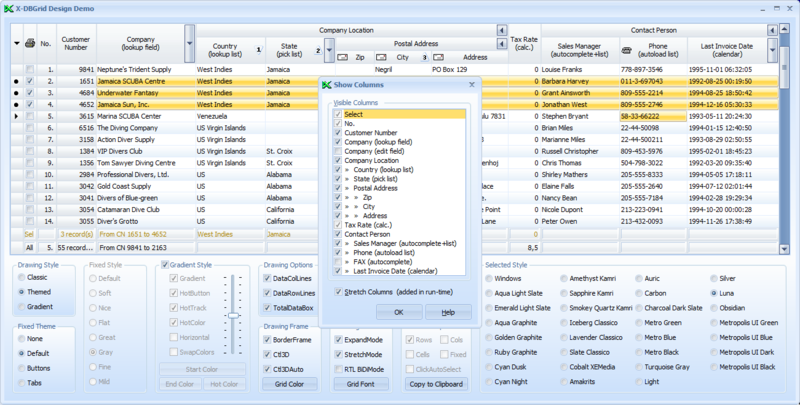 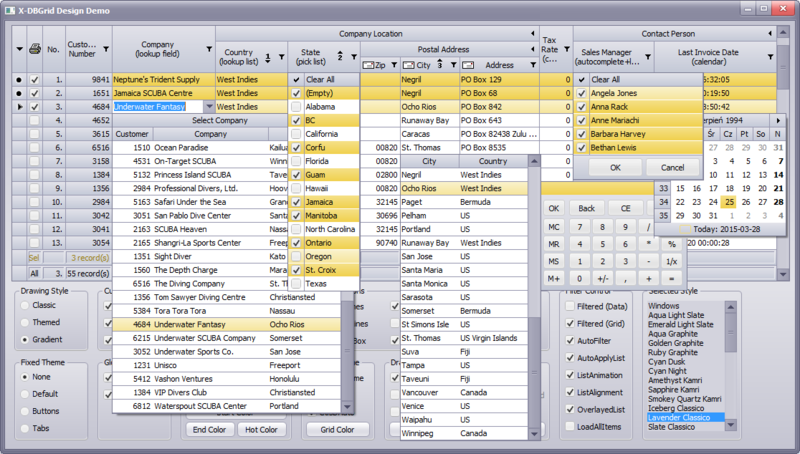 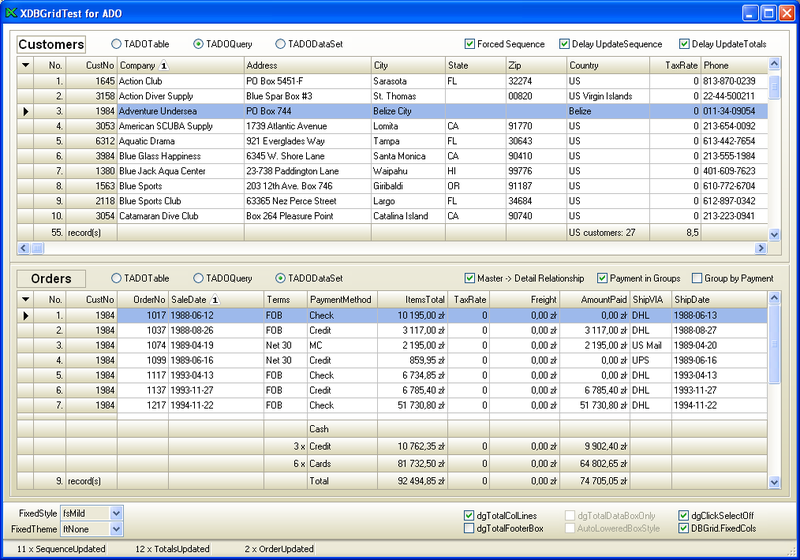 User can select columns that are printed by using convenient dialog which presents columns list with checkboxes. 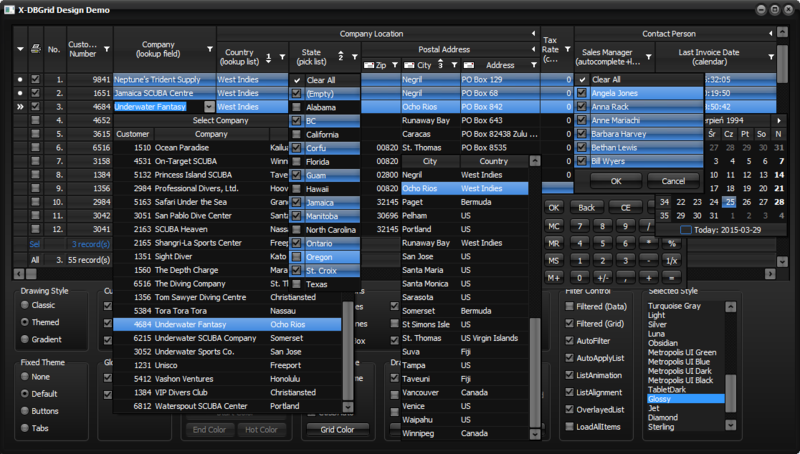 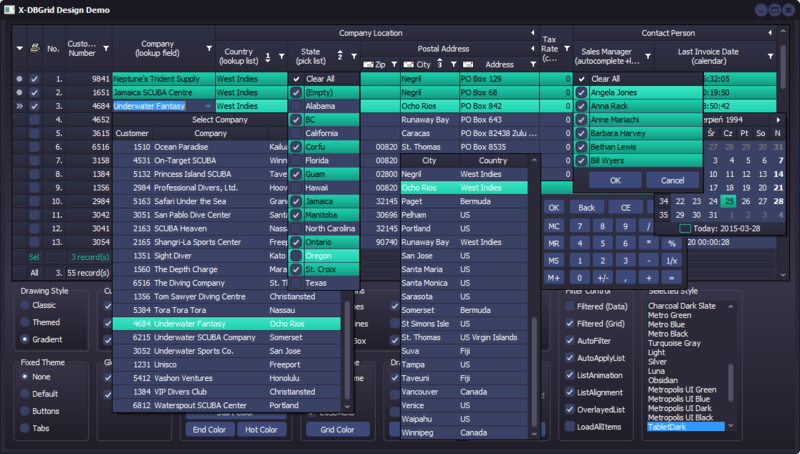 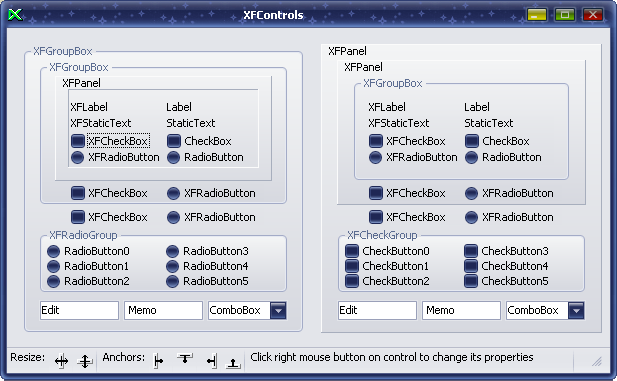 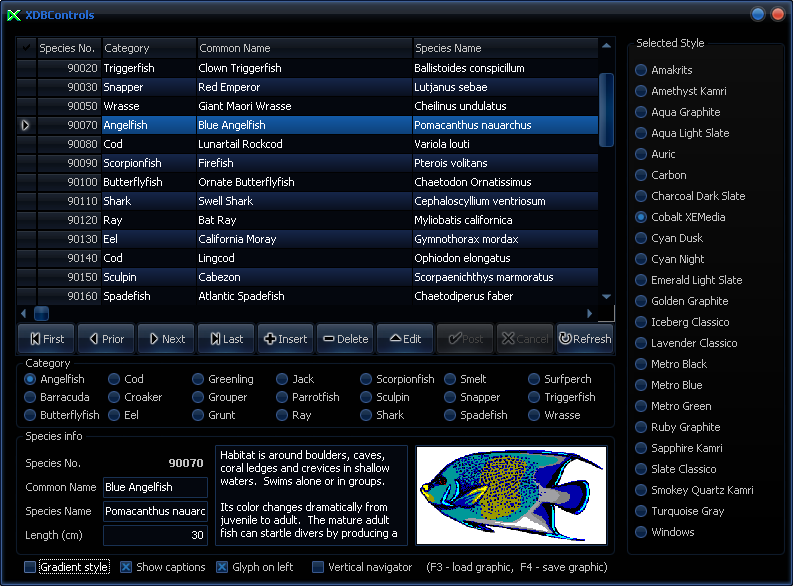 X-Files Components 4 was increased by a set of gradient controls, which can fully replace appropriate standard controls. 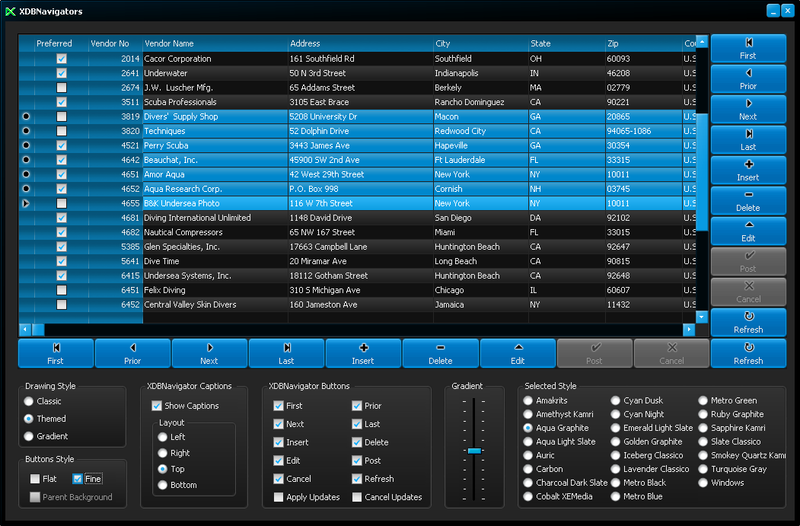 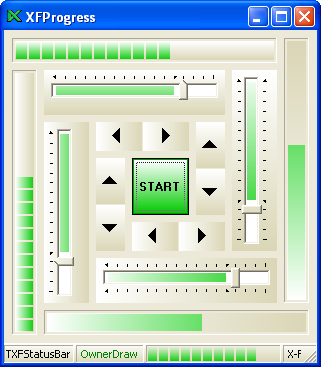 By the way a flicker of standard controls during Resize was eliminated and other encountered bugs was fixed. 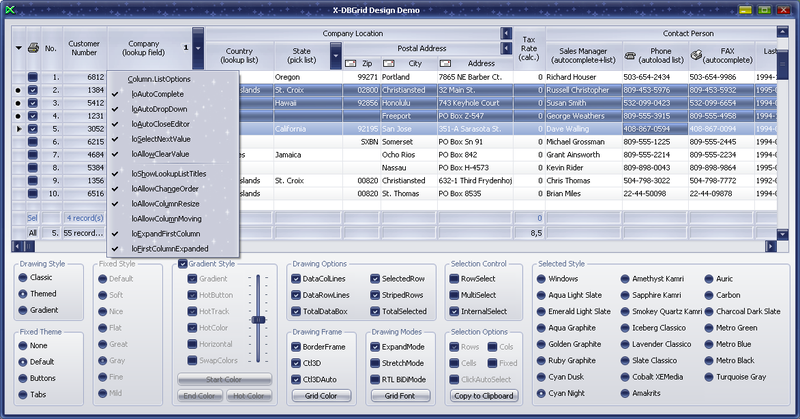 See detailed information about this controls. 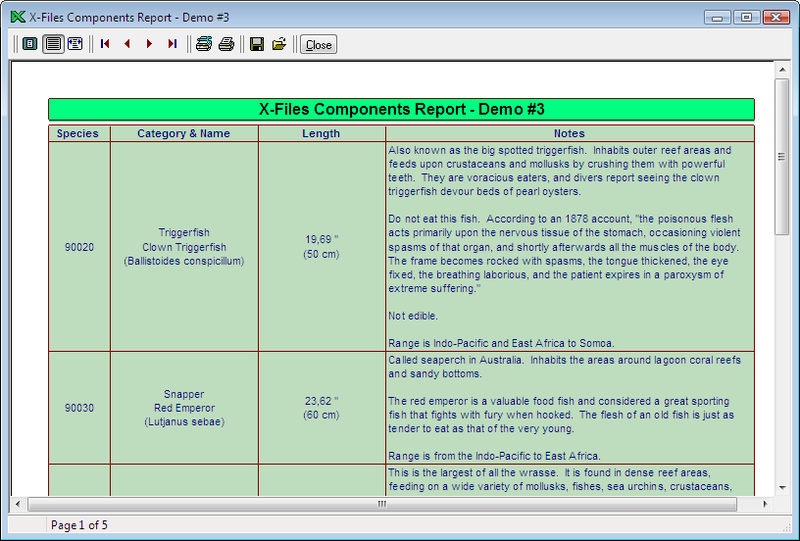 Below they are located some screenshots of the demo applications included in all packages. 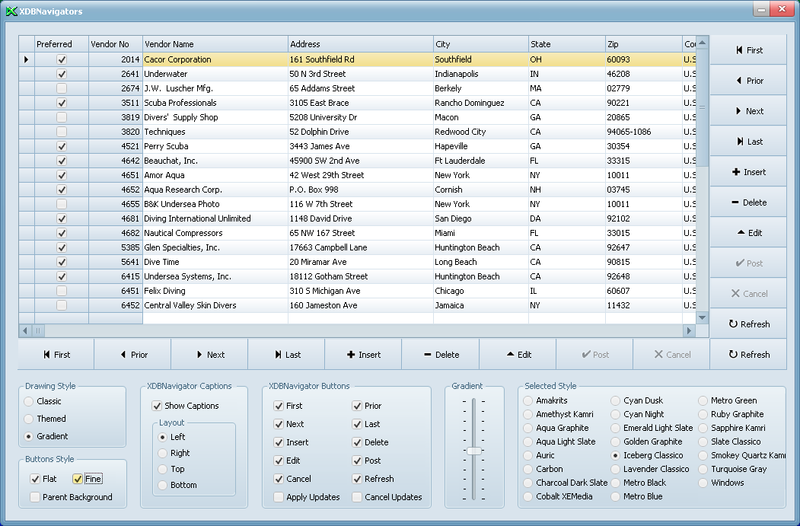 Click on selected screenshot to see its bigger version.